On the 15th (Mon), look for all kinds of wild species at Atlantic Forest South-East Reserves, take in the spiritual surroundings of Santuario Dom Bosco, then contemplate in the serene atmosphere at Catedral Metropolitana, and finally take in the waterfront at Pontao do Lago Sul. 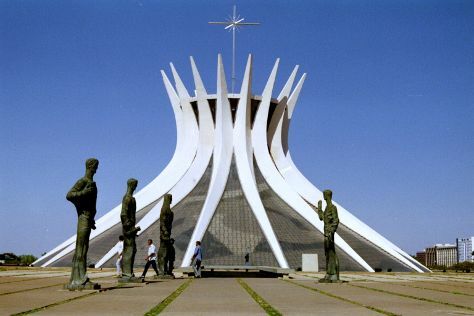 To see photos, where to stay, other places to visit, and more tourist information, go to the Brasilia travel route planner. In July, daily temperatures in Brasilia can reach 30°C, while at night they dip to 15°C. Finish up your sightseeing early on the 15th (Mon) so you can travel back home.